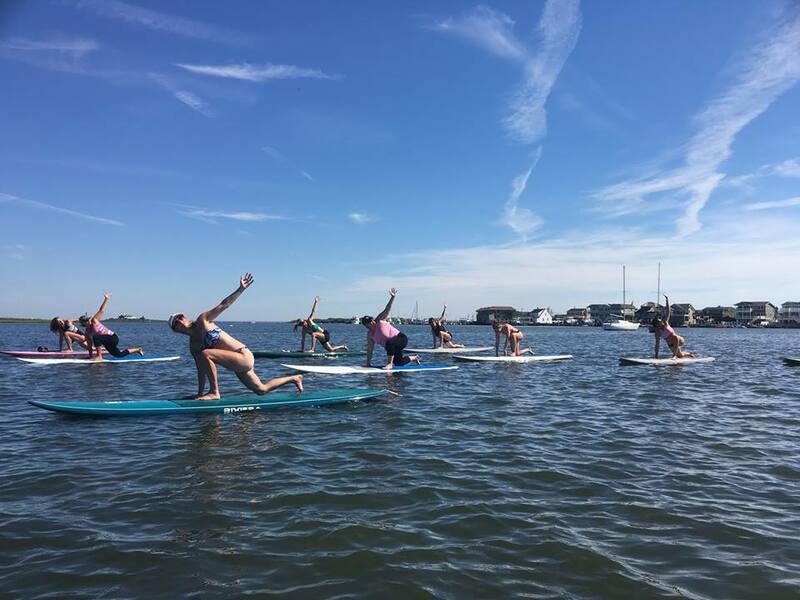 SUP Yoga Classes during the summer! OUR FLOATING SUP YOGA CLASSES ARE FOR ALL SKILL LEVELS. Experience a one-of-a-kind workout while enjoying the beauty and tranquility that Long Beach Island! Our instructors are certified yoga instructors who know how to easily convert traditional yoga moves into ones done on a SUP. Stand-up paddleboard yoga is hitting a surge in popularity, encouraging people to expand their yoga practice with the added challenge of performing it on a SUP. SUP Yoga: $40. Includes board, paddle, pfd, and anchor. Come by yourself or book your own private lesson with a group. Awesome idea for bachelorette parties! Not only will you activate muscles used for traditional yoga poses but strengthen your core the whole time. Nothing helps you refine your yogic balance more then practicing on a moveable platform! Yoga students can often fall into a rut after years of practicing the same routine. But add the possibility of falling in the water and you’ve just made your workout much more adventurous! Yoga teaches you to get in tune with your body and breath. 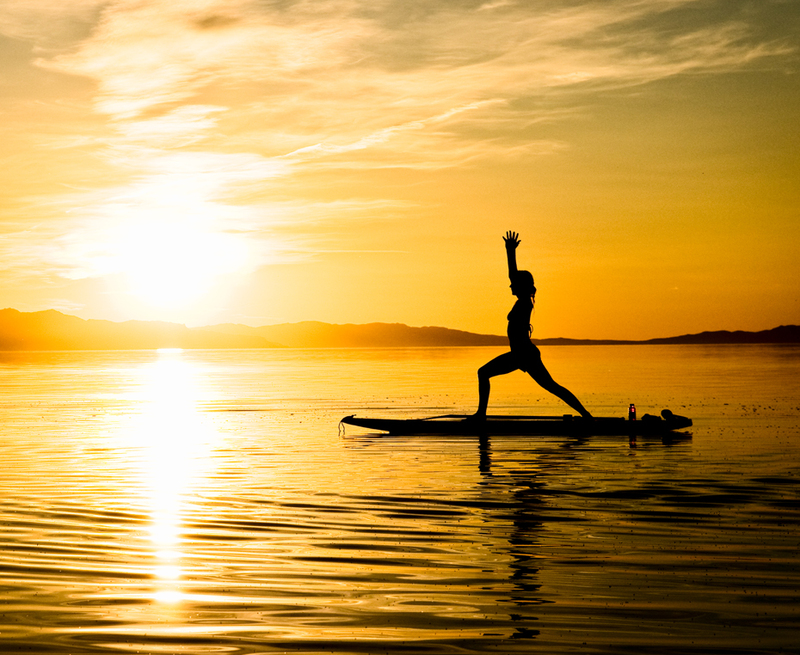 Yoga on a paddleboard reminds you of the big picture, adding a one-of-a-kind spiritual element.